When your friend tells you that the party tonight is going to be 80’s themed, you immediately think to bring out your neon shorts and windbreakers, your leotards, your leg warmers, and that side pony-tail or sweat band…or both. However, how can we begin to neglect the fashion that started from track suits to African roots to hi-top fades? The 80’s and early 90’s were without a doubt the decade of fashion statements, experiments, and fails. We continue from the previous article with sportswear manufacturers such as Adidas and Nike becoming popular and hitting the hip hop scene and audience. It wasn’t just track suits and bomber jackets though, oh no. Adidas became AdiNEXTed as Nike caught Michael Jordan before his prime, thus dominating streetwear in the sneaker department. Aside from those two brands, we had Reebok, Kangol, Fila, Puma, Troop, and later on in the early to mid 90’s, Timberland, Cross Colours, Starter, Girbaud, Tommy Hilfiger, and Nautica. 80’s fashion became in touch with accessorizing – think big sunglasses, big jewelry, and sneakers with fat laces. Go big or go home, and clearly, no one went home. In the music industry, Russell Simmons basically ran the scene. In 1984, he met a young Rick Rubin, the two of them creating Def Jam out of Rubin’s NYU dorm. They released their first single later that year, and continued releasing albums with new artists such as LL Cool J and the first white hip hop group, The Beastie Boys. As they grew popular, what they wore grew trendy; LL Cool J keeping it real with his Kangol bucket hats and gold rope chains. Although the 80’s grew out of its costume-like phase, some were moving forward in time while still stuck in that Halloween mindset. 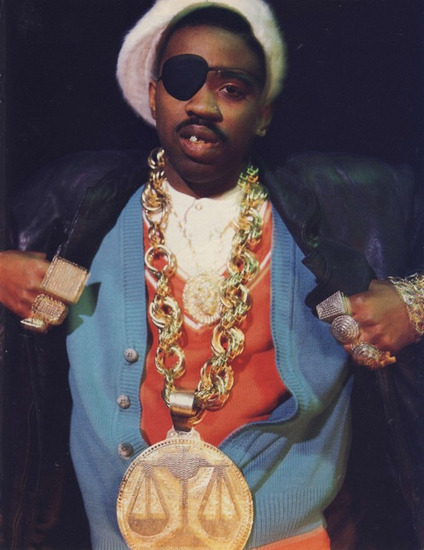 To acts like Slick Rick and Eric B. & Rakim, less was not more, and instead, more was more; I would like to make a shout out again to Trinidad James, as he was probably truly inspired by these legends and icons. As for the West Coast, the aesthetic that N.W.A. brought was starting to set trend in the late 80’s to early 90’s – all LA Raiders or LA Kings everything with black coaches jackets, Starter caps, Nike Cortez, Chucks and some extra dark locs. Oh, and don’t forget the activator for your Jheri curls. Another trend bubbling up around the late 80’s and early 90’s was Afrocentrism – it was all about getting in touch with your roots, embracing the African culture and lifestyle, man or woman, African or not. Red was the new green was the new Black – nationalist colors that dominated the clothing and fashion, accompanied with African print hats, chains, and medallions. 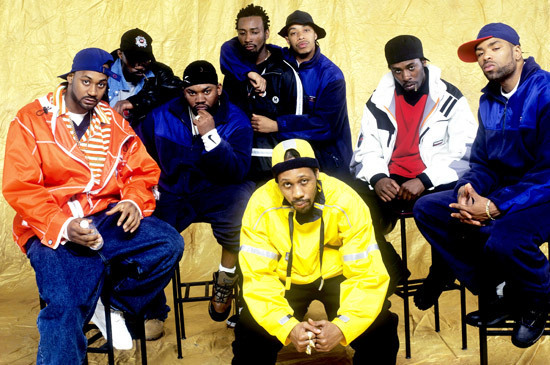 The Native Tongues collective were all about this look as members of the Jungle Brothers, De La Soul, and A Tribe Called quest repped the Afrocentric lifestyle to the fullest. 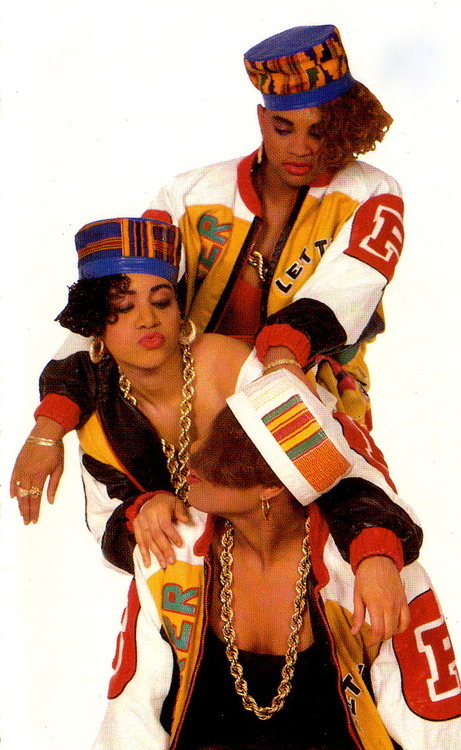 Also, in 1986, we had Salt-N-Pepa debut their first album as well as debut themselves as women in the hip hop industry reaching plenty of success and blurring the lines between men and women’s fashion during the process. Women’s trends complimented the Afrocentric look until that trend faded and those colors turned basic and weren’t any more special than orange or blue or purple. Younger women were entering the scene, and by the mid 90’s, we had artists like Aaliyah setting the trend/balancing act of contrasting over-sized with super tight. She debuted her album “Age Ain’t Nothing but a Number” and showcased her obsession with Tommy Hilfiger and her mid-drift. I may or may not have owned a few Tommy Hilfiger items and done a few sit ups every night in attempt to be like her… but that’s for another time. Aaliyah’s look was very tomboy chic: over-sized baggy low pants, tight crop tops, outerwear, over-sized jerseys… this sounds awfully similar to my wardrobe today. Maybe. For the fellas we had baggy jeans, Timbs, jerseys, Starter caps and jackets, Polo, North Face, Nautica, and the flyest Nikes that you’re probably lining up for today. Or think of it as pretty much your favorite episode of Fresh Prince. Next time, when you get invited to an 80’sor 90’s themed party, don’t opt for the ordinary jazzercise/aerobics look and call it a day. Trade in the leotards, sweatbands, and thigh masters for some bomber jackets, Starter caps, and gold chains. And remember, there ain’t no party like an 90’s house party! Simply want to say your article is as astonishing. The clearness in your post is simply cool and i could assume you’re an expert on this subject. Man, 80’s hip hop is the best!